Are you good at dates? When I studied history at school – and that itself is now ancient history! – it was all presidents and kings and queens and battles – and dates. Are you good at dates? Let’s test you. And I’ll keep it pretty modern. Probably the most famous date since the turn of the millennium is indicated by just two numbers. Any guesses? Yes, 9/11 – 11 September 2001, the date of the Al Qaeda suicide attacks on the World Trade Center and the Pentagon. Go back five years to 31 August 1997, in the wee hours of a Sunday morning. That’s right, it’s the day Diana, the “people’s Princess” (in Tony Blair’s famous phrase), died in a car crash in Paris. I remember Angie waking me up early to tell me the sad news so I could prepare something to say to you. Most of us were in bed when Diana died, but along with 9/11, there is another date forever etched in the memories of those of us who go back to the 1960s, a day everybody remembers exactly where they were when they first heard the breaking news. Yes, 22 November 1963, that Friday in Dallas when John F. Kennedy was shot. I was in Mr. Borowicz’s math class when suddenly the tannoy went on. We all expected it to be the school principal with some guff; instead, it was a radio broadcaster, his voice shaking, telling us that the President had been shot. And before the day ended, JFK was dead. In my father’s generation the date that everyone remembered was 7 December 1941. The next day, a Sunday, the American people, many at table, were glued to their radios as President Franklin Roosevelt addressed the Congress and the nation. At just six-and-a-half minutes long, it’s probably the most famous American political speech of the twentieth century. “Yesterday,” Roosevelt declared with due gravitas, “a date which will live in infamy, the United States of America was suddenly and deliberately attacked by the naval and air forces of the Empire of Japan.” Every American knows that phrase: “a date which will live in infamy”. I could go further back in history, but as far as memories go, that would probably pre-date everyone here! But did you notice one glaring thing about all the dates I’ve mentioned? They are all unhappy dates, they are times of tragedy: the terrorist attacks in New York and Washington; the sudden death of a vivacious young royal; the assassination of a leader who brought a sense of energy and optimism to a nation stuck in the doldrums; the treacherous assault on a country that felt impregnable even as civilization itself was in danger of collapse from totalitarian aggression in Europe and Asia. Times of shock and disbelief, death and fear, a sense of irretrievable loss, the eclipse of hope. Of course there are dates we associate with uplifting events that inspire the human spirit. Since I have been in Swansea, there was 11 February 1990, when in South Africa Nelson Mandela was released from prison to the tumultuous acclamation of the crowds, or 9 November 1989, when tens of thousands of East Berliners gathered at the hateful Wall that divided the city – and the world – and began to dismantle it brick by prison brick. Golly, talk about uplift, about the bells of freedom ringing! And, of course, there are dates in our own personal histories – birthdays, anniversaries, graduations, and the like – that we remember – that if you’re married you had better remember! – that speak of joy and blessing. 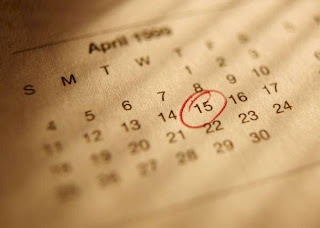 But today – there is no date like this date! On this date – a day so important, so unforgettable, so life-changing, so world-changing, that angels bring the news – today we celebrate the birth of Jesus the Saviour. It was a day set in truly horrific times, in a nation under occupation by an empire of terror, with an economy of massive poverty and social dislocation. We hear of a working class family, with a young woman pregnant, that has to shift itself hundreds of miles to the south – why? – to be taxed! And then of the girl’s waters breaking – where? – in a stable! To be honest, we don’t actually know the actual day, or even the actual year. December 25th the western church nicked from the pagans, the day they celebrated the winter solstice, the day of the returning sun. And, frankly, personally, I find it inconceivable that our Lord was a Capricorn: a Libra, surely! Nevertheless, as people in the Middle Ages used to date their documents – “counting from the birth of God” – today is the day we celebrate (as Karl Barth put it in a lovely little essay) “the secret that is also the secret of our age, our history, and our life. Christmas is where we come from; it is where everything ‘counts’ from. It is the source from which everything – and I mean everything – not just the personal and the religious, but the political, economic, and social – derives its meaning, ordering, purpose, and goal. For it pleased God in his majesty, indeed it pleased him well, to be born a human, to dwell in a child, to be a little baby boy” [much adapted]. And that means – and this is the heart of the matter – that from that date we can no longer speak about God without at the same time speaking about people, and we can no longer speak about people without at the same time speaking about God. This date in history – the birthday of Jesus of Nazareth – means that throughout all dates in history our humanity is God’s humanity, and God’s humanity is ours. Come shock and terror, sudden death and mass destruction, pain, heartache, grief, despair, we are in God and God is in us: we are loved and held, safe and free. Christmas isn’t just another date, Christmas is the date, the date of the start of the New Creation. Enjoy it today. Take it with you into the New Year. And – a couple more dates – watch for its climax on a weekend in spring.